What if I told you that a whisky distillery was going to market a bottle of scotch without showing you what it looked like, without offering up any tasting notes, and going so far as to “black out” the bottle so you didn’t know what you were getting? You’d probably call them a little crazy right? Now let’s say that they put no age statement on it, limited it to 3,500 bottles, and put it up for sale for $150. You’d probably have them committed. 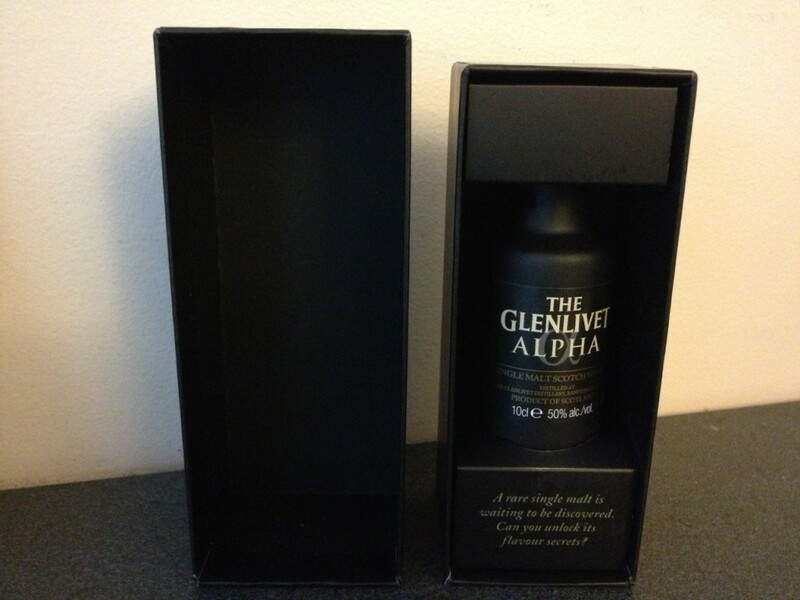 Well, that’s what the fine folks at The Glenlivet did with The Glenlivet Alpha. It’s no secret that the Balvenie DoubleWood 12 Year is one of my favorite scotch whiskys. At that price point, under $40 a bottle, it’s something I get to enjoy on a regular basis along with Glenlivet 12. The Balvenie 21 Year Port Wood is like the 12 year’s older, more refined, brother. Whereas the DoubleWood is priced at around $40USD, the Port Wood comes in at a more hefty $180USD. For each bottle of the Port Wood, you could get over four bottles of the DoubleWood; which explains why I don’t enjoy it as much as I possibly can! When it comes to other finishes at other distilleries, I sometimes can’t tell that it’s been finished in a different cask. Oftentimes it can be a little subtle and unless you have had the non-specialty-finished whisky, you can’t pinpoint origin. 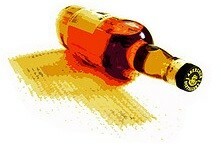 Unless port is completely foreign to you, there’s no way you’ll miss the impact of finishing in port pipes. The specific sweetness imparted by finishing in port pipes is very evident on the palate. The nose has the fruitiness I’ve come to expect from Balvenie, though I couldn’t pick out the raisins from their “official” notes. The palate is influenced by the portwine finish, supporting the fruit I picked up from the nose. The finish has a distinct nuttiness, like the aftertaste you have after chewing on walnuts. It’s also remarkably smooth, something you’d expect from a whisky old enough to be served at a bar. At it’s price point, it’s an indulgence and not a regular staple, though you would be doing yourself a great service by picking up a bottle for your cabinet. Of the full “regular” range of Balvenie bottles, the only ones I haven’t enjoyed are the Thirty and Forty (aged 30 years and 40 years respectively). I imagine they would bring the same level of enjoyment I’ve come to expect from Balvenie. It’s very difficult to mass categorize the wonderful spirits of Scotland’s myriad collection of distilleries but if one were forced two, the easiest buckets to put them in are based on smokiness. On one side, we have the heavily “peated,” smokey stylings of Scotch produced on the island of Islay. On the other, we have absolutely no smoke and no peat and the most popular area for that is a toss up between the Highland region and Speyside.